By 2020, the U.S. affiliate marketing spend will hit a whopping $6.8 billion, up from $4.7 billion in 2016. This increase can only mean one thing: affiliate marketing is here to stay! If you’re looking to become an affiliate marketer, there can’t be a better time to join in on the action. But as a beginner, there are several things you need to master before you can start pulling in any meaningful cash. 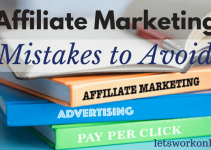 In this article, we’re giving our top tips and tricks that will help you capitalize on affiliate marketing opportunities and earn top money. Let me ask you a simple question: when having a random conversation with colleagues, do you like that one person who comes off as a know-it-all or jack of all trades? Your answer is certainly as good as mine: No! This leads us to our first tip: carve out a niche for yourself and focus on it. Nobody will take you seriously if you’re promoting diverse products, from motor vehicles to pet care and home cleaning! One of the biggest challenges newbie affiliate marketers face is to select a niche with the best affiliate marketing opportunities. To find your niche, begin by identifying your passion. What do you like doing during your free time? What magazines do you like reading? Do you belong to any clubs or organizations? Next, do some research into the various niches you’re passionate about and find the one with the highest market value. With online resources like Statista, it won’t take you long to find this information. Affiliate marketing is more like word-of-mouth marketing. The only difference is the platform! To make the most of affiliate marketing opportunities, you need a digital platform, typically a website or a blog (or both). Now, a website can either bring more affiliate marketing opportunities your away or push them away from you. To make money as an affiliate marketer, you’ll basically need to ensure a lot of people are buying the products or services you’re promoting. To drive sales, you need huge traffic coming to your website or blog! In an age where internet users can abandon a website in less than 3 seconds, you need to ensure yours ticks all the boxes, or your risk losing traffic. Gone are the days when affiliate marketers could place large banners all over their sites and hope site visitors would click on them and purchase the product you’re promoting. Today, it’s all about content marketing. The most effective way to build a community around your site or blog is to provide content that’s informative and useful to your visitors. And again, this is where passion comes in. If you settle on a niche that you’re passionate about, it’ll be a breeze to create content, because you’ll be writing or talking about what you already know. Plus, sites with high-quality content are more likely to become market leaders, a position that earns them 7.8 more traffic than sites that are not market leaders. That said, producing content haphazardly and publishing it on your site won’t cut it. You need a content marketing strategy. Here are some tricks to help you out. Creating content is a year-round activity. The more content you produce, the more you’re able to get hold of your current readers and pull in more. However, you might not be able to create content consistently. There are times you’ll run out of content ideas, or you might not be in a position to produce high-quality and stimulating content. This where a content calendar comes in handy. Determine on what days you will be putting out new content and stick to the schedule. If you create lots of content within a certain period, it’ll be easier to spread it out throughout the year. 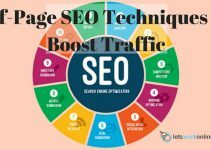 To get more affiliate marketing opportunities, your site or blog should rank highly in search engine results. This means that if you’re in the kitchen equipment niche, people searching for various kitchen equipment should be able to find your site among the top search results. Obviously, quality content is crucial to being ranked highly. But more important than just content is the need to craft it around relevant keywords. What is your target audience typing into Google and other search engines? Lucky for you, there are several tools – such as Google’s keyword planner – that you can use to identify the highest ranking keywords in your niche. To keep your readership engaged, use a combination of different content formats. Your posts should have engaging photos and don’t shy away from using videos. After all, some estimations suggest video traffic will account for over 80 percent of all web traffic in the next couple of years! By now you probably know that clients love affiliate marketers with a solid online presence. To build this presence, you must think beyond your site and blog. You need to embrace social media. Open accounts for your brand on Facebook, Twitter, Instagram, YouTube and other social sites where you can find your target audience. Post informative and engaging content on those platforms, but don’t overdo it. Gradually, you’ll build a following, which you can direct to your affiliate marketing site or blog. Up to this point, we’ve been focusing on how to build your foundation as an affiliate marketer. You now have a niche, a website, and a presence on social media. The next step is to find affiliate marketing opportunities and earn your first buck! How exactly do you find these opportunities? Unless you’ve built a buzzing site with lots of traffic, it’s unlikely that potential clients will come knocking on your door. You have to go all out and find great products to promote. This is especially important if you’re in a niche that deals with physical products. The best way to do this is to reach out to businesses in your niche. If you’re in pet care, for instance, reach out to manufacturers of pet care products, as well as providers of pet care services – like grooming. These businesses know the value of affiliate marketing, so they won’t want to turn down an opportunity. You probably won’t get responses from all the business you reach out to. That’s okay. Don’t be discouraged. The ones that will respond will want more details about your blog or site. They’ll want to evaluate your content and know the amount of traffic you’re pulling in. If everything looks good, your first client(s) will come on board! What remains is to agree on an affiliate commission. This is how much money you will earn for every sale generated through your site. You’ll also need to agree on how to best promote the products. You could place small banners or links in your content. You could also mention the products on your podcasts or videos. Only promote products that you’ve tried out and believe in. Your readers trust you as an expert in the field, so they expect you to recommend the best products. It’s a legal requirement to disclose your relationship with the sellers of the product or service. This generally involves providing a disclaimer on the page. Another ideal way to find affiliate marketing opportunities is to sign up for affiliate programs. Many e-commerce sites, including Amazon, have affiliate programs that you can signup for. As you’ll learn, this is far easier than reaching out to specific businesses. Various affiliate programs have different signup requirements, but they generally need you to be a website owner and agree to their terms and conditions. To earn money, you’ll need to add links to your affiliate site or display native ads. When people click on the ads or buy the products, you’ll earn a commission. As your access to more affiliate marketing opportunities expands, you may need special software to help you stay on top of things. For instance, you may need software to help you track your affiliate sales or see where your customers are coming from. Tracking metrics are very important to help you understand what you are doing either right or wrong. If you are using different strategies and not monitoring the outcome it will make it difficult to grow your business. There are hundreds of such software and useful resources on the market. Luckily there are many free resources available to help you. Google Search Console and Google Analytics will let you know where you are ranking, how many visitors come to your site, what pages they are viewing, where your traffic comes from (both the country and the source – organic, social media or from ads) and what people do on your site. This is just a small example of the info you can get from these free programs. Most importantly you can also monitor the outbound links. This will show you which affiliate links/products are performing the best for your audience. Most affiliate programs also provide reporting programs that will show you the number of clicks on your affiliate link, ordered items, shipped items and conversion rates. Affiliate marketing is a potentially lucrative venture. There are people making over $10,000 a month! But to get to that level, you need to get the basics right. Thanks to this article, you now have the tips and tricks you need to turn your affiliate marketing dream into a reality. Build a good website or blog, publish quality content, promote great products, know your legal obligations and utilize affiliate marketing software. Gradually, you’ll start turning out decent profits. Need more help? There are some awesome affiliate marketing training programs online. I have reviewed several and the best I have found to date is Wealthy Affiliate. You can read my full review here. If you have any questions or have any other tips let me know below.